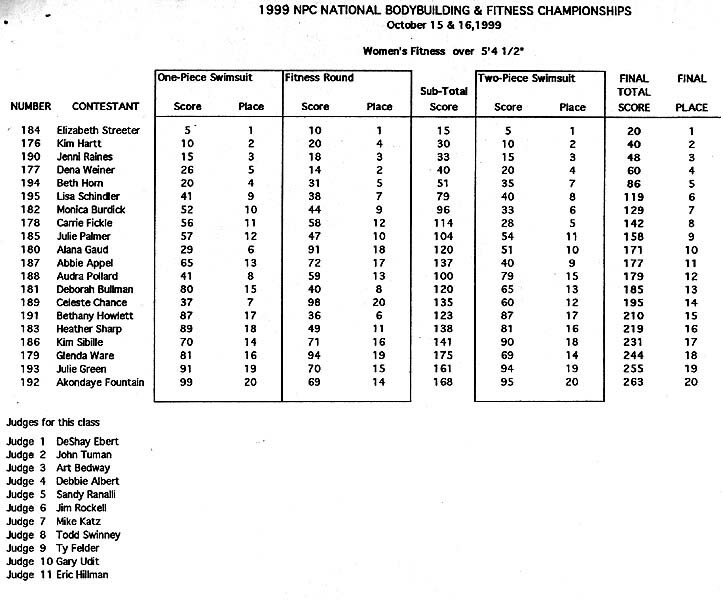 "This is certainly one of the most successful Nationals we've seen in recent years," was a comment from NPC official Sandy Ranalli. 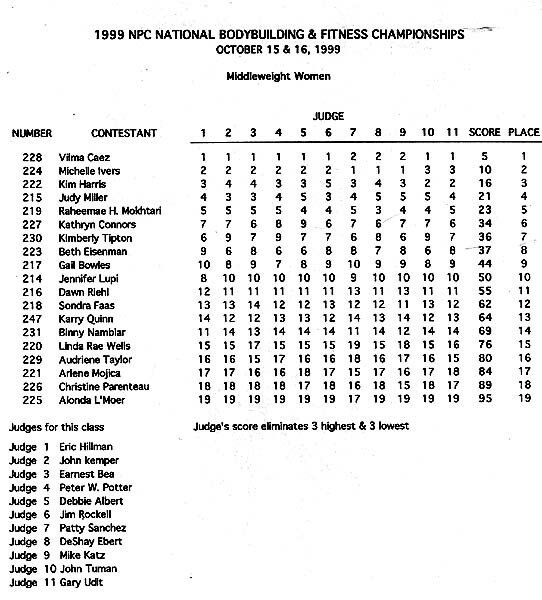 It wasn't just the number of competitors who showed up, but the depth. 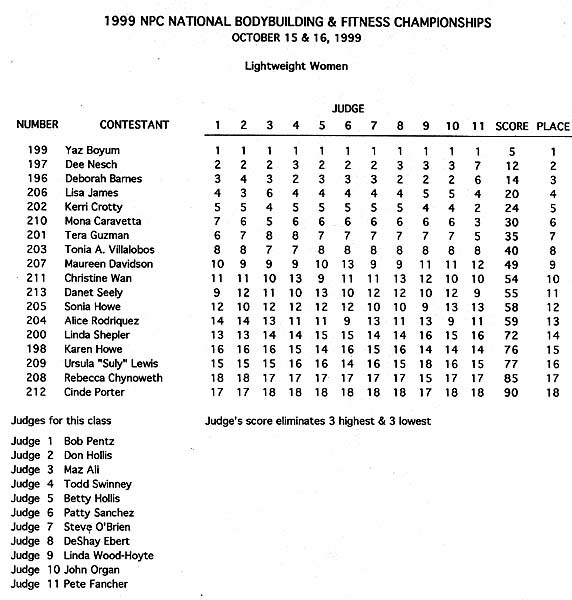 All of the men's classes required an elimination round to reduce the number of class competitors to 15 and the battle for the overall between heavyweight King Kamali and eventual winner super-heavyweight Aaron Maddron was a classic. 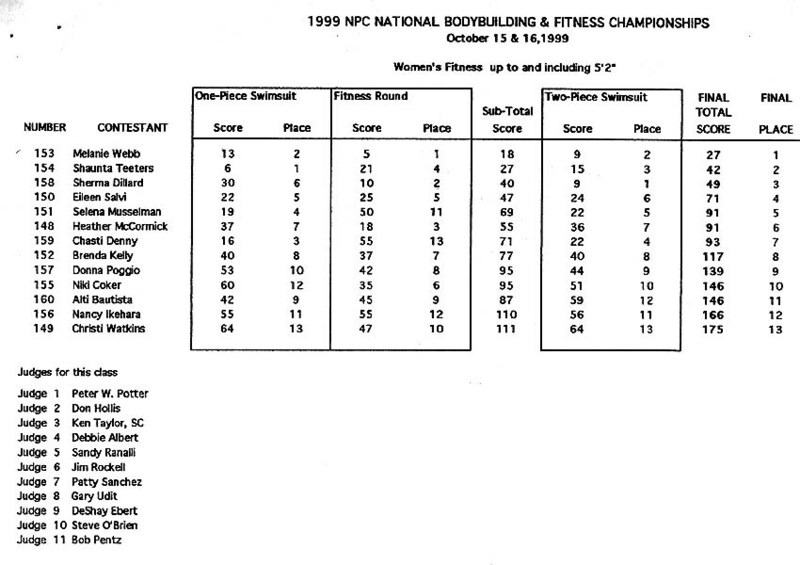 There were 51 competitors vying for the NPC Women's National's title, and where last year's women's competition was somewhat weak, the field that showed up for Orlando was very strong, indeed. 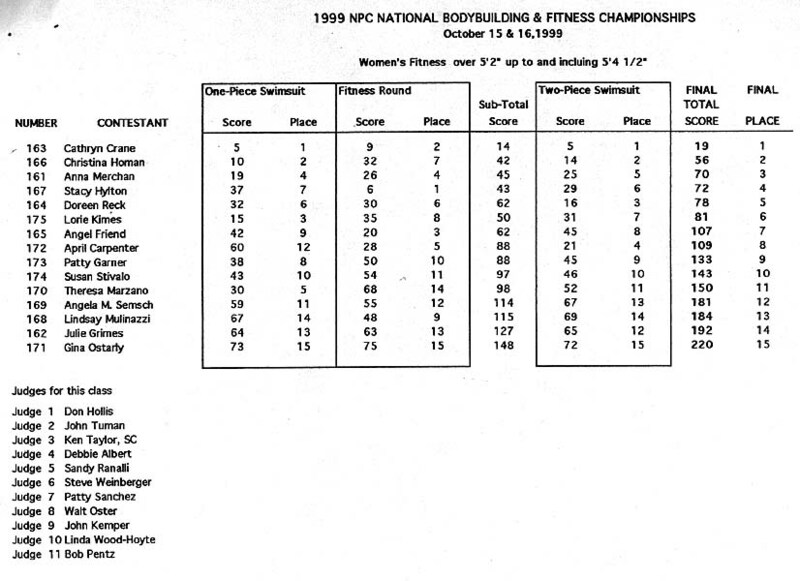 So much for the doomsayers who keep telling us female bodybuilding is dead. Wishful thinking on their part, perhaps, but not true. 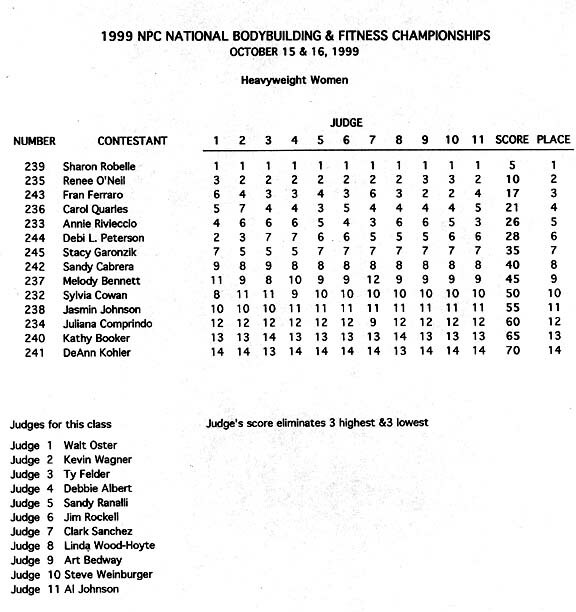 The fitness lineup was equally as exciting and there were almost as many fitness women entered in the contest as bodybuilders - 48, to be exact. Watching fitness competitors backstage warming up, seeing how sleek and attractive they look, it's almost a shock to watch them performing on stage. The athletic ability, the gymnastics, the flexibility and the strength they are capable of creates an impression light years away from the "bikini babe" image so many physique magazines have decided that fitness is all about. All this in the midst of Hurricane Irene. Hurricane? What hurricane?